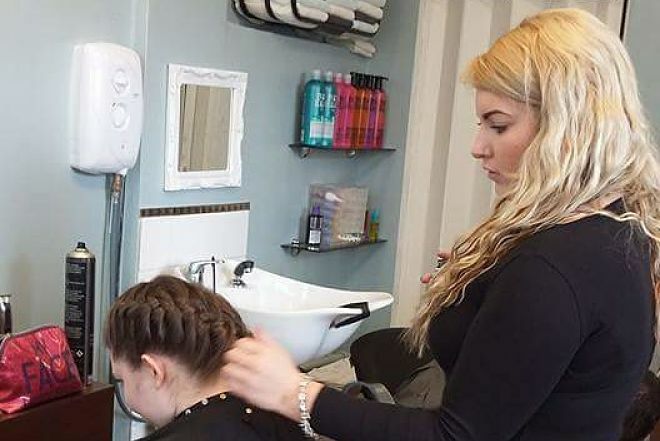 Having worked in a hair salon for four years, Lowestoft-based hairdresser and beauty therapist Jodie Clavin felt she had gained plenty of skills and experience, and the time was right to go it alone. We spoke to Jodie about finding freedom and flexibility as a business owner, and how Nwes helped her to launch MirrorMirror Unisex Hair Boutique in Lowestoft, Suffolk. Tell us more about what your offer at MirrorMirror and what inspired you to launch? MirrorMirror Unisex Hair Boutique offer ladies, gentlemen’s and children’s cuts, ladies colours, perming and styling, hair extensions and gel nail polish treatments. It opened on Lowestoft’s Queen’s Road in March 2017. I decided to go it alone as I have learnt a lot over the years about how to stock take, manage clients, customer service, marketing and end of day banking. I have a large clientele that have always said I would do great having my own business. I have had great support from Nwes. I have been given help and advice on how to market, manage and financially support my business and myself. Nwes have provided courses for me to attend which have been very beneficial to my knowledge and understanding of business management. I had some minor obstacles, such as an initial problem with the plumbing in the salon, but my enthusiasm hasn’t waivered. I am thoroughly enjoying being my own boss and being able to work flexible hours around family life. The Start Up Loan was a huge help in launching the business, but the highlight has been learning financials and developing my understanding of business management. I feel complete pride in something I have achieved on my own. Nwes have helped me understand the importance of setting out a business plan and different ways of marketing. I have learnt a lot from the courses provided by them. With the Start & Grow programme, it’s nice to know I have a Business Advisor I can call on for help support and guidance when I need it. Within two years, I aim to be fully booked on a week to week basis, bringing in a profitable income from a regular clientele. I would like to have an apprentice and another stylist working alongside me to help increase income and to continue to develop a good reputation. Do you have any advice for others considering starting their own business? Set up a business plan prior to opening the business. Keep working in your current employment whilst becoming self-employed to ensure you have an income within the first few weeks of business. Do lots of market research and advertising. Go on business courses prior to going self-employed.